Despite being irrational, fear mongering, hoplophobic bigots, gun control zealots do get one thing right: PR campaigns. They simply do not have the facts on their side, so they try to use emotions to garner support for their misguided ideology and, often, they succeed. Between desperate hand-wringing, fabricated “facts,” and effective use of astroturf social media movements, the vocal minority of the anti-constitution crowd knows how to get what they want (or at least give the impression that they did). But what if responsible gun owners organized their own social media campaigns? What if they let businesses know that they vote with their wallets and they don’t want to patronize a “Criminal Protection Zone?” What if they let businesses in on the fact that criminals will not respect a “no guns allowed” sign? What if they told stores and restaurants that they refuse to do business there as long as the store wants to disarm honest, law abiding citizens? The numbers don’t lie. There are A LOT of responsible firearms owners out there. 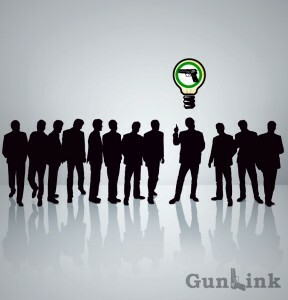 There are A LOT of citizens who have taken training courses, undergone background checks to purchase firearms and receive concealed carry permits. If even a small portion of those people make the decision not to support businesses with anti-gun policies, the economic impact could be huge. But just choosing not to support such businesses isn’t enough. We need to speak up and let businesses know that they are losing real money because of their anti-gun policies – similar to what the astroturf gun control groups do, except real. The first step is to identify anti-gun businesses. This could be something as large scale as corporations that support gun control or something as small scale as finding local businesses that do not allow openly carried or concealed weapons with a tool like CPZ (criminal protection zone) List. The next step is to actively avoid doing business with them. If a business does not want you to eat or shop there unless you leave your rights at the door, do not eat or shop there. Finally and, perhaps, most importantly, let everyone know why you are not doing business there. Connect with the business on social media. 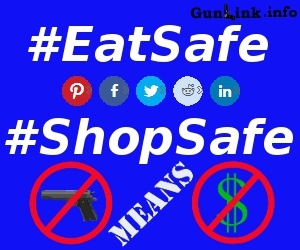 Tag the business in your posts and use the hashtags #EatSafe and #ShopSafe with a message to let them know why they are losing business based on their anti-gun policies. Include the hashtags in posts to your friends and family to let them know that you won’t be patronizing those businesses and why. Gun control bigots have co-opted the phrase “common sense” when it comes to gun laws and policies but it is time to take it back. Too often we hear in the news about terrible violent crimes – stabbings, beatings, “knock out games,” rapes, robberies, shootings, car jackings and more. Each time we hear about these there is an inexplicable push for disarming law abiding citizens in hopes that the criminal activity will stop. The fact of the matter is that these criminals prey on the weak and the disarmed are the weak. The bad guys stop being bad when a good guy with a gun – usually the police – shows up. The very reason that they choose to commit their crimes where they do is because they know that, thanks to some law or policy, there is not already a good guy with a gun on scene. Stop letting businesses disarm you. Stop thinking “it’s just this one place” or “it’s just a few minutes for a cup of coffee” or “it’s just an hour or two for a movie.” Start thinking “I will protect myself and my loved ones.” Start refusing to do business with those who wish to disarm you. Start connecting with them on social media and let them know why they are losing your business with the #EatSafe and #ShopSafe hashtags. Start changing minds! All in, and I also am using #imagunguy ……im tired of acting like IM the one doing something wrong. #ImAGunGuy? I can dig it.